Comments: Mt. Walla sits on a bluff overlooking Scottsville and the James River. This home was built on the original Edward Scott patent of 1732, and the acreage where this home is located was subsequently given to Edward's son, John Scott I (d. 1798). John Scott I then left the property to his grandson, John Scott III (1796-1829). A) John Scott III (1796-1829) sold 10 acres "in and adjoining the town of Scottsville" to James B. Holeman. Albemarle County Deed Book No. 22, p. 2, 14 July 1819. The deed contains no mention of a house/dwelling or structure on this property. B) James B. Holeman sold Richard Moon (T; T=Tennessee) 77 1/4 acres (the original 10-acre tract plus another 67 1/4 acres not described here). Albemarle Deed Book No. 22, p. 302, 17 January 1821. The deed contains no mention of a house/dwelling or structure on this property. 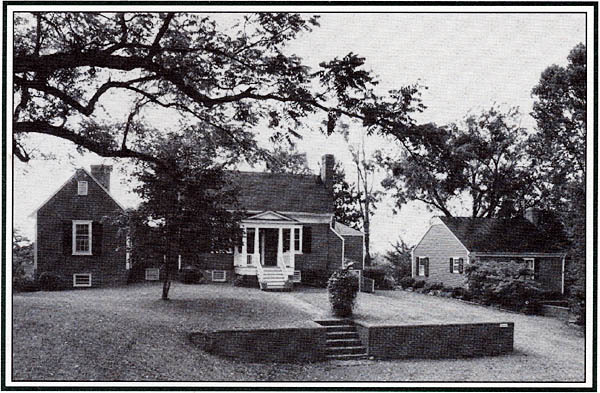 C) Richard Moon executed a deed of trust to Nathaniel Garland and John Coles that included the "dwelling house of the said Richard Moon (T) and a tract of land on which it is situated and adjoining the Town of Scottsville..." to secure the payment of two bonds totalling $2000 owed to Tucker Coles. Albemarle County Deed Book No. 35, p. 59-61, 12 October 1836. See also Albemarle County Deed Book No. 27, p. 74, 25 February 1828 for more details of the Deed of Trust. 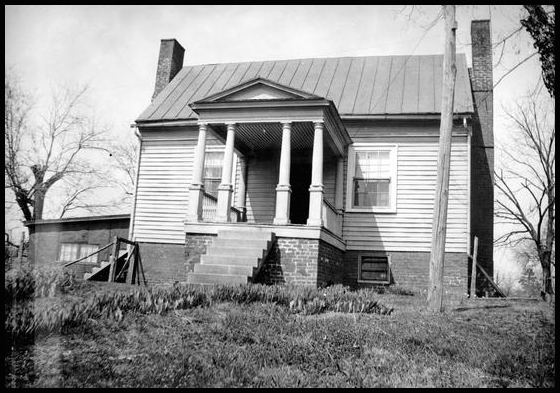 D) Thomas Gilmer, Agent for Richard Moon (T), sold on 08 October 1836 "the said dwelling house, all outhouses, etc., situated on said tract and about eighty-eight acres of land at public auction..."to Peter Jefferson for $2800." Albemarle County Deed Book No. 34, p. 60, 12 October 1836. See also Albemarle County Deed Book No. 34, p. 348-349, 25 October 1836, and Albemarle County Deed Book No. 34, p. 370-371, 25 October 1836. Note: In the 1836 transaction above, Peter Jefferson's full name is Peter Field Jefferson, son of Randolph Jefferson and nephew of Thomas Jefferson. Jefferson's family members are buried in Mount Walla's private cemetery. Shown below is a ca. 1992 photo of Mt. Walla. The top photo is part of the Historical Inventory Report by R.E. Hannum for the Works Progress Administration of Virginia; Record No. VHIR/11/0189 applies at the Library of Virginia, Richmond, Virginia. The photo below is part of the Raymon Thacker Collection at Scottsville Museum.